This 1996 Chrysler Sebring JXi is proudly offered by Mac Cars This 1996 Chrysler Sebring comes with a CARFAX Buyback Guarantee, which means you can buy with certainty. The 1996 Chrysler Sebring JXi Convertible continues to beat the competition in nearly every way. A sporty driving experience that still maintains impressive levels of ride comfort, along with an exceptional, driver-focused interior make the Chrysler a recommended pick among convertibles. It's not a misprint. And the odometer isn't broken. This is a very low mileage Chrysler Sebring. A rare find these days. This Chrysler Sebring JXi is in great condition both inside and out. No abnormal "wear and tear". The 1996 Chrysler Sebring is built with pure muscle. Punch the throttle and feel the power of its torque and horsepower plant you firmly to the back of the seat. 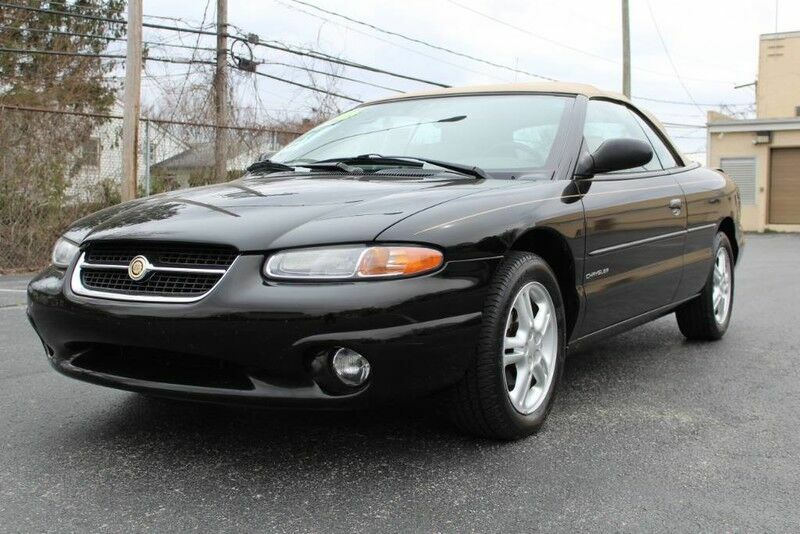 Added comfort with contemporary style is the leather interior to heighten the quality and craftsmanship for the Chrysler Sebring You'll instantly stand out with this hard-to-find 1996 Chrysler Sebring JXi. Be sure to prepare yourself to get noticed in this ultra rare Chrysler Sebring.